Jack Miller has equipped this element on his bike in the Sepang test that could act on the rear shock absorber. Gigi Dall'Igna anticipated it in the presentation of the Desmosedici GP19: "The improvements are everywhere" . 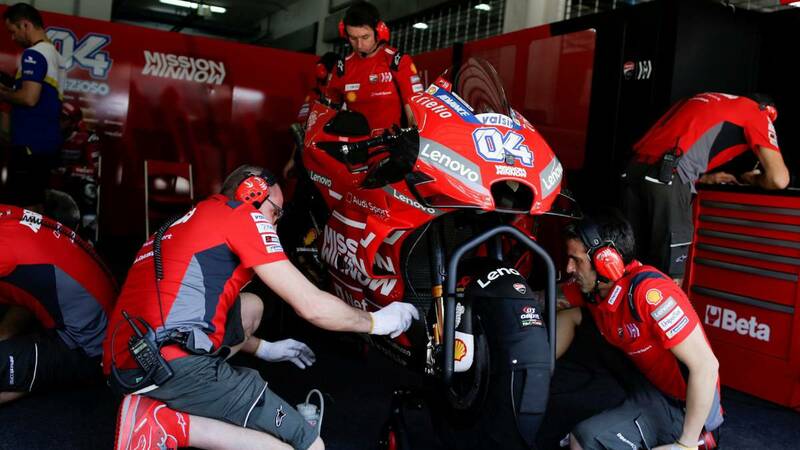 A clear warning to the rivals about the work that the engineers of Borgo Panigale have done this winter to continue being competitive and fight until the last race for the MotoGP World 2019. An operation that has begun to see its fruits on the second day of testing in Malaysia. Jack Miller, pilot of the Alma Pramac Racing, has equipped in the directional panel of his Ducati a nut of butterfly whose function, according to informs 'GPOne', could be an anti-squat mechanism. According to this publication, this piece would act on the rear shock absorber to keep the bike as flat as possible in the acceleration phase, as it should be remembered that any additional electronic command is prohibited by regulation.